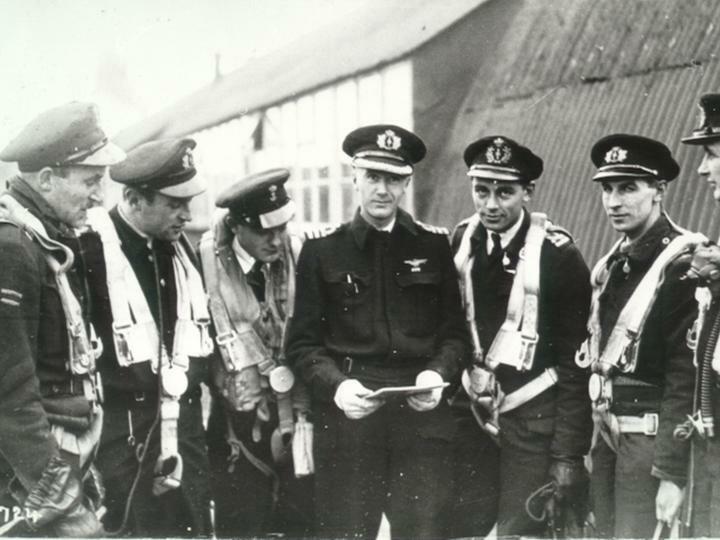 Do You Know These Dutch Veterans? I've decided to set up this special page to help people find out about family members that were Dutch veterans. It is my sincerest hope that by doing this these people, many children of Dutch veterans, will be able to learn about these men because it is so very important to them. I know how very much it has meant to me to be able to learn about my daddy and so I understand how important this is to the people that have contacted me. So please go through this page, look at the pictures, read the information and if you know or knew the men that these family members are asking about or have suggestions about who they can contact please, please contact them or if you prefer me Maria van Duinhoven. I live in Estonia as well and work in Air Force.Looking forward to hear from you again! I am interested in any information i can get on either of my grandparents as the war was never discussed in the family. My grandfather Jan Willem Onink was in the KNIL, apparently he was assigned initially to the 7e afdeling as a Glenn Martin second pilot airgunner and then subsequently served with 2-VI.G.II and later 1-VI.G.I at Samarinda II. The last information I found was that he was in training at Kalidjati in Feb 42 as 1st pilot and was transfered to Andir. He was made a POW but have no further information on where or when this happened etc. My grandmother Wilhemina Onink and her 2 daughters were in internment camps in Bunsho I, Bunsho II and at the time of surrender they were in Tjideng camp. Please if anyone has any information on them i would be gratefully to hear it. I was glad to find your web site. I am looking for Dutch veterans of World War II and the postwar East Indies who remember my grandfather Han Samethini, also known as Sammy. 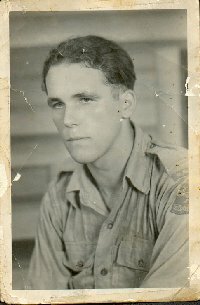 Samethini was a KNIL soldier who worked as a POW on the Burma Railway. He played his accordion for Joop Postma's Show Group at Chungkai and other camps in Thailand. Immediately after the war he and Wim Kan organized entertainment for soldiers in Bangkok (1945-46). From 1946-1947 Samethini led a show group called "The A-Z Cabaret" consisting of himself (with accordion), Nico Vreedevogd, Leo Morein and singer Mieke Dusseldorp. 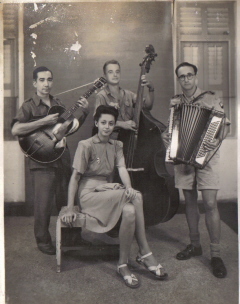 This cabaret performed for Dutch soldiers and sailors in Java and Bali, sometimes sharing the stage with Wim Kan. Thanks for your help. 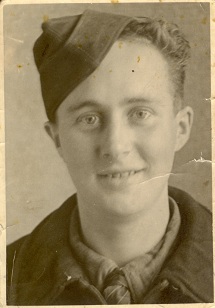 Guys like Joop Postma and my grandfather were famous among the Dutch POWs, but they are almost forgotten now. I have photos of Postma at POW reunions in the 1970s, and even visiting the old Burma Railway. I assume he has passed away, but I will do what I can to give him the recognition he deserves. may I introduce myself ! My name is Everard Bakker and I am coming from Holland. In 2001 a workmate of me, asked me to visit his 88 years old uncle. This veteran is Leendert Jonker. He is a member of the Dutch Royal Marines during world war II. And this veteran served in WW II, within the 320 squadron RAF as a airgunner. On the 25th October 1943 Mr Jonker became very heavily wounded on the raid to Lanveoc Poulmic (Brest). The B-25C (15-NA), with the number; 42-32514, FR 169, B-25C-15-NA. made a emergency landing on Exeter in the south of the UK. In this unbelieveable story I found out, that his memories are really true. About this life-story I am writing a book. 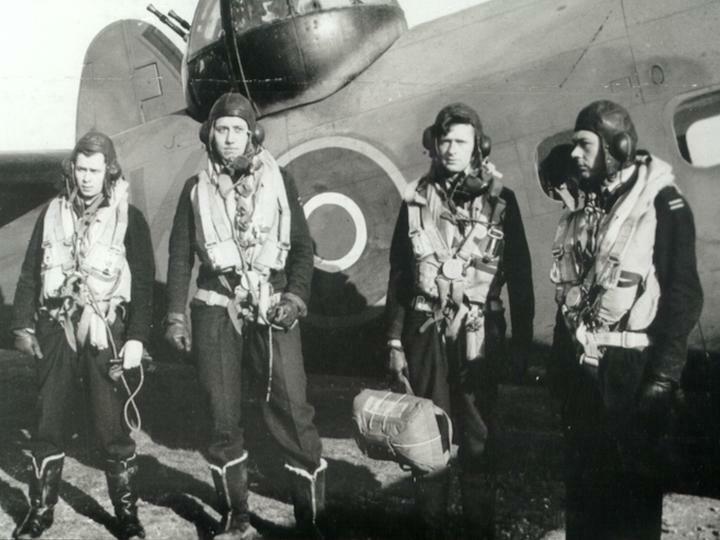 I have interviewed some 12 Dutch veterans and I am in contact with a lot of relatives from, killed bij action, Dutchmen of the 320 Squadron RAF. JOHANNES HENDRIKUS MAAS (called Jan), the pilot of Mr. Jonker! After the war (he was a pilot with Sabena Belgium) he lived in Spain. (Not in Deira, we don't known where he lived in Spain) born: 13-11-1916 of 1918 at Manggar (Nederlands Oost Indi�) Married: 09-03-1944 in Engeland (place unknown) with Mrs. E.E. Harrison. born: 28-03-1909 te Rotterdam. killed: 25-10-1943 Brest. Twenty-four aircraft of British 98 and Dutch 320 Squadrons RAF were despatched to bomb the Brest/Lanvioc Poulmic airfield. The flak which was soon accurate. There was suddenly a tremendous flash as Sgt. C. J. Bank's machine received a direct hit. Then another, as Cdr. Eduard Bakker's Mitchell disintegrated in a welter of fragments and flame. Roosenburg found that his hydraulics were out of action, instruments too, and that oil was streaming from his starboard engine. Worse, he had an arm wound. He managed to hold the aircraft level long enough for the bombs to be dropped. Soon after he found he had lost 3,000 feet, wrestled to regain control and steered for home alone. He skidded to a belly landing at Portreath. The tremendous force of the explosions had thrown the aircraft of the leader, JAN H. MAAS, on to its back, then it too received a direct hit between the radio operator's position and the dorsal turret. At once the machine went into a dive from which recovery was miraculously made since the controls were badly damaged. 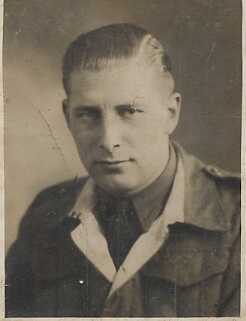 The air gunner (this is Mr Leendert Jonker) had been seriously wounded and was given immediate first aid. 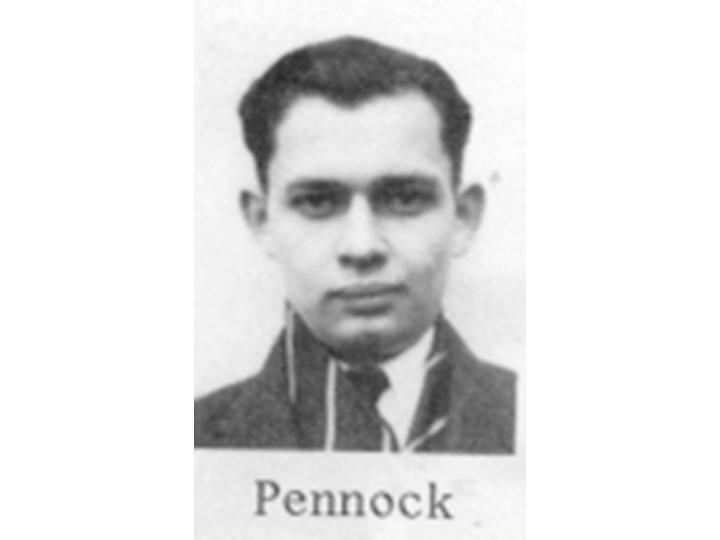 The wire-less operator HANS PENNOCK was shocked. Crippled, it staggered back to Exeter for an excellent landing despite two tyres punctured and extensive structural damage. JAN BODE, one of the friens of Mr Jonker who was also a Dutch Royal Marines/ and Airgunner 320.
number 17.10.30.026 navy number 01699. Mr Bode was born at a ship in Millingen. gesneuveld 26-06-1942.On this day the plane called the 'Balik Papan' crashed during a raid to Bremen. ANTOON BOM, one of the friens of Mr Jonker who was also a Dutch Royal Marines/ and Airgunner 320.
gesneuveld 05-12-1941 with the plane called the 'Makasser" above Norway. AMAZING SUCCESS In JUNE 2004! When Gabby wrote me the letter below I gave her the contact information for the Dutch Ministry of Defense, and decided to do a Google search for Machiel Verbrugge. I wasn't really expecting to find anything and I am still amazed by what happened. The search had a link to a guestbook entry by a Machiel Verbrugge. I copied the entry and included it in my email with the defense ministry information. The entry was in Dutch but I understood enough to know that this Machiel was looking for information for a relative also named Machiel so I was hopeful. Within a few days I received an email from Gabrielle saying she got in contact with Machiel and within two emails it was confirmed -- they were both looking for information on the same person!!!!!! Since that time there has been a lot of contact between the families, all with open arms and a true happiness at finding out about Gabrielle and her family but most of all her father because he is the deceased Machiel is his father, as well as the father of children in Holland. I wish it could happen this way for everybody who is trying to learn about a family member or other relatives. This was a true exception of the usual search results but it proves that sometimes you do have a miracle happen. I am not sure if you can help me but maybe you can point me in the right direction? I have contacted the Bermudan Embassy who confirm that they have a copy of the Death Certificate. What I am trying to establish is if Machiel Verbrugge was in the Dutch Navy. I believe that Machiel Verbrugge was in Southampton sometime in 1945. Perhaps the ship was ported there?? I would be most grateful if there is anything you can advise me so I can further my investigation. DOES ANYONE KNOW EDWARD BURGHOUT'S EMAIL ADDRESS? I just recently found out the email address I have for Edward doesn't work anymore. I found out because of an email I received regarding information about his Grandfather. I'm going to put the email just below this paragraph so if anyone knows how to get in contact with Edward and let him know about the email it would be greatly appreciated. Hello, I have a message for Edward Burghout if he is still interested in hearing about his grandfather. I tried mailing him but his email address does not seem to work. I read your request about information about your grandfather, after a tip from Aad Burghouwt. I don't know if you had contact with him. They have contacted me on the family history of the offspring of Pieter Burghout, and I am one of them. Your grandfather was my uncle and I don't know anything about him personally, I was born after he died. But my father always had a portrait of your grandfather on the wall. Even now (he is 84 and has Alzheimer) He doesn't remember much but he knows that is Henk on the portrait. 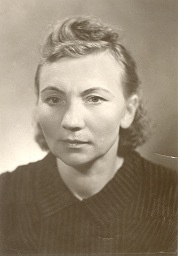 Maybe my aunt Heintje, a sister of your grandfather knows more about him. I can ask her if you are interested. She will be 90 this year but is still very much "there", if you know what I mean. I do have the marriage announcement of your grandfather and some pictures, I could send you copies if you like. I know his wife remarried after his death and we visited them sometimes, she had two other children and we played with them. I have a question and maybe/hopefully you can help me. I am trying to learn about my Grandfather Burghout who was with the KNIL in the Dutch Easter Indies. As a child I remember seeing him in a photograph dressed in a white KNIL uniform.. I don't know my Grandfather's first name or really anything else about him. I was told that he is buried in Fort de Kock, Bukittinggi (Padang) Sumatra when he was during either WWII or the Political Action in the Dutch East Indies immediately following the war. The only other information I have that might help someone in recognizing him is that he had two sons, Henk and my father Piet. My father was born in Ford de Kock and lived there for several years. I keep wondering what and who my grandfather was and what happened. I was never told much about that time and it gives me an empty feeling. I will keep my fingers crossed and hope to find at least some information. It has been some time but I refuse to forget you. Thanks to you I got a message from Tom H�rmark Andersen. It must be him becouse I know he came from Apeldoorn and this is the only one. Fingers crossed. NOTE FROM ME: I haven't made any changes to the letter because Morgan made a point to write in English so I could understand. I truly appreciate this so I have copied the letter as written. We are a one of a family was looking my father or Grandpa, He is a Dutch Soldier/ KNIL /AAT to be on duty at Indonesia, between on 1946 until 1951 at Malang City East of Java, His gone back to holland abt, 1951. ( He was age, Abt 21 years old ) His job the soldier to watching at sugar cane park garden area at Malang East of Java. My grandmother moving and stay at Bandung Indonesia right now, She is age abt 80 years old. She didn't not give any details information cause she have alzheimer sick/ old sick (Many forgoten) SHe lost contact him untill now since 1951. May be you recognized him....? Neneng Siti Aminah/Paina (my grandmother) died on january 2003! Please send us abt, any information or how to make contact him if you known him or even know where is he now, Please tell me, he condition still life or die... we miss him and very hope to contact and meet him. 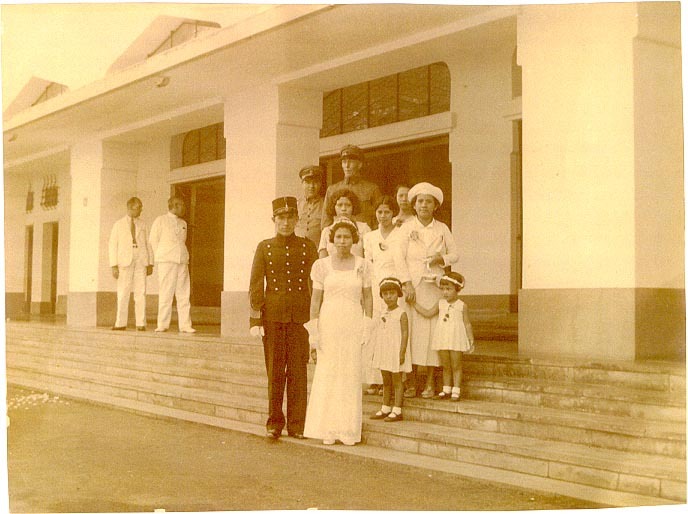 Photographs from left to right: Hollard and Wife, 1947; Hollard House in Malang City 1951; Granda and Christine H.C. 1951. I found my dad's 'Zakboekje Koninklijke Landmacht'. 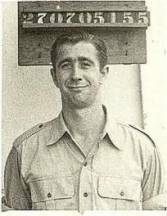 He was transferred as a reserve 2LT to 5-7 Regiment Infanterie on 15-9-47 and arrived in Td.Priok on 18-2-48 on board the 'SS Waterman'. He became a reserve 1LT on 1-9-49 and left for Holland on 9-4-50 on board the 'SS Gen. Howze'. My Dad is is the one at the right holding the stengun. My name is David Mooren and live in the Chipman - Minto area in New Brunswick. Before I go any further I would like to commend you on your web site and of your knowledge of the Dutch underground and the war in the Indies. In 1954 he immigrated to canada to work in the coal mines (he also worked in the mines in Holland and Germany after the Indies war) in Springhill NS and Minto NB. He worked there until his death in 1987 of black lung. We went to Holland this past summer and in Roermond there is a war monument there of all the soliders who were killed in action, very nice. Just to mention that I to have dad's foot locker full of his memories of two wars. Your website is absolutely wonderful. What a moving story. So much so that I want to share with you. My father had lost contact with all his brothers and sisters. Not uncommon , in holland after the war many individuals left to seek better for themselves and their families to come'. Last year I bought a computer and began searching. I found them all except for one, they have seen eachother in August for the first time in 40 to 45 years. It was like a fairytale. Especially because I found my fathers twin brother and they have aged exactly the same. There is however one brother left to find, i continue daily to search and hope to find. I started by proving to myself that he was still alive. I did this through the Amsterdam archives. You see, born in holland in amsterdam , upon passing on , your gezinkaart appears in the archives. His is not there. All of the brothers and sisters remembered his name as Bob and this made no sense to me. I sent for my grandfathers card from the archives because all children would be properly listed on there and much to my amazement I was right. This brothers name is Marinus Berdou. I think he was just called bob for some reason. 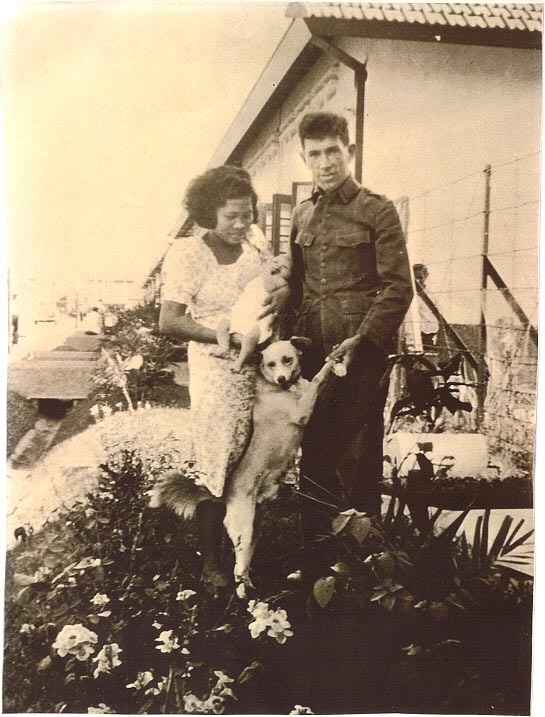 He went to indonesia after ww2 and we do know that he had contact with someone after. We are just not sure of who or where this was heard. I contacted Paul Patist on your website and he is graciously sending my email on to a vetran who knows of alot of the "guys". I am hoping and praying that this works but if it does not my search will go on. I refuse to give up. This brother was born on January 19/1926, his 75th birthday just passed on Friday. I was also interested to see that you are so close by. You see I live in Welland Ontario, close to Niagara Falls. The internet provides people with contact like no other, had I not had a computer I am convinced that none of this would have happened so far. I want to thank you , you see I typed indonesia after World War 2 and your website came up on the search. At least this has given me some idea of where to start. What you are providing for other people is more than some people can ever hope for. If you have any other ideas of who I could contact to perhaps further my search I would certainly appreciate it. You see Maria, we don't have one picture of Bob (Marinus). By the way his middle name is Johannes. 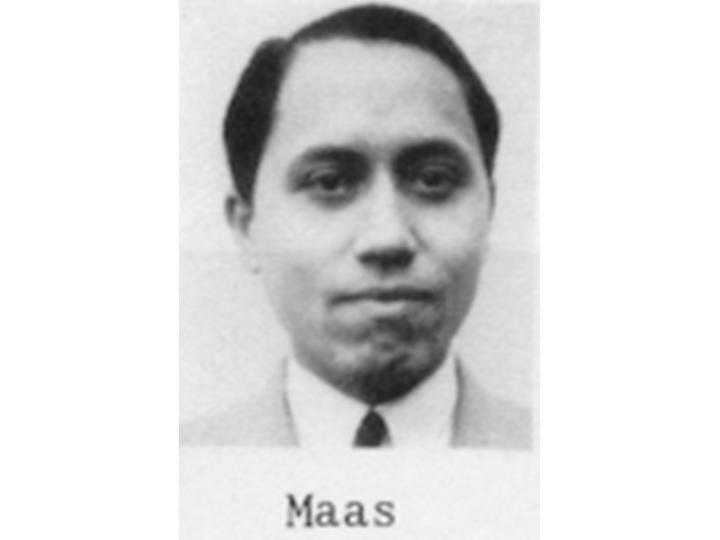 So the whole name is Marinus Johannes Berdou born 1/19/1926 in Amsterdam . He was always called Bob. I will put my email address on the bottom. Thanks Maria. Dear Maria: I am a little misty eyed at the quick response you gave me. In the few hours since I sent you this email, oddly enough my fathers' twin brother called me, how ironic, and i quizzed him some more. He was able to tell me that "Bob" aka Marinus (and incidently Bobs real name he never new, he was amazed) was in Batavia in indonesia. He does not know his regiment, however "Bob" was riding in a jeep with 2 or 3 other soldiers and they drove over a mine of sorts. He was the only survivor apparently, and very severely injured as a result. He was hospitalized for an extremely long period of time in a place called Buitenzorg. I think my uncle must have wracked his brain to remember, you see there is a seven year age difference between them. This information might be a good clue in all of this. For some reason he remembers overhearing an older family member saying something about Bob and Switzerland after the indonesian war. I wanted to send you this email to let you know that my uncle has contacted the ministry of defense regarding Marinus Johannes Berdou. We are waiting to hear. Interesting enough my father remembered that Bob aka Marinus wore a black baret. Then all of a sudden he remembered something else. Huzaren Van Boreel. He is sure that was the division of the army that he was in and that it was a tank division. I have found a website for huzaren van boreel. And consequently I have found many email addresses of vetrans that belonged to this sector of the army. Maria I can't tell you how exciting this is getting. I am going to contact these individuals. I have also contacted the Swiss embassy in the Hague after trying the dutch embassy in Switzerland first. They refered me to the Hague, however they were so helpful and the gentleman who sent the response said he hoped very sincerely that I would find my uncle. It is so touching that people are so receptive to working together. I am going to tell you if I do find him , my uncle that is I am going to do something about making a website. I am sure that would be the most fulfilling thing i could possibly do. I just wanted you to know the latest, I will keep you posted. I hope everything is well with you. I did notice that there was a man named Korremans that seems to be trying to publish a book on Huzaren van Boreel. As soon as we hear something from the ministry of defense or the embassy I will let you know. Thank you again so much for doing what you did. It looks fantastic. It makes me grin from ear to ear. 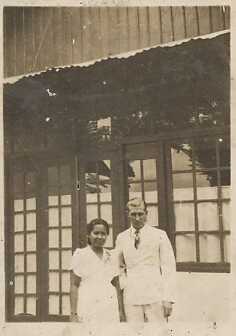 My father, Johannes Lodewijk Hennekes, served in the former Dutch East Indies, roughly, from 1934 to 1950. He served in the KNIL and was a Japanese POW from March 8, 1942 until his liberation on August 15, 1945. There is a picture (taken around 1929) of my father, standing beside his father, which is posted on my website at Photograph At that time, he was only 17 years old and had served 3 months in the Dutch Navy. This is a long-shot, but perhaps there might be someone viewing your site and recognizes my father's name. If so, I would very much like to hear from them. The left photo is the wedding between JOHANNES LODEWIJK HENNEKES and NELLI WEICHELT which took place in Soerabaja on April 27, 1938. The picture on the right was taken in Soerabaja shortly after my sister, JOHANNA "ANNEKE" JACOBA, was born on July 3, 1939. In his military record I couldn�t find any data about his time in Dutch-Indonesia. I asked a copy of his military record and this is what I know officially. 07-05-1947: In the military service ; the Infantery depot Indi�. Placed in �trainingcamp Hulten�. 28-11-1947: Arrived in Dutch Indonesia. He was placed by the �School Opleiding Parachutisten� te Tjimahi. He was wearing a Red Beret. He saw some of his friends in the fields cut open with the bowels out of their belly�s when they where in action. I think the actions he was involved in where in a matter of national security and therefore not placed in his files. It�s now more than 50 years passed and officially the secrets files are open for everyone. But I can�t find the right opening to reach them. There are always mysterious clouds around these hidden facts. Since I bought the Book : �Westerlings Oorlog� from the writer J.A. de Moor ( uitgeverij �Balans� te Amsterdam) I have an idea what it was to be a Para-trooper. In this very objective book the writer created a view of the influence of the Para-troopers on the Dutch-Indonesian political actions. But what I really want is to meet old friends or people who knows him to hear the real story. Also people who where also on the �School Opleiding Parachutisten� Because the things he saw and did in Dutch-Indonesia formed the man he was after his time in Dutch-Indonesia. I hope to make a good view of his experiences in the time context after WWII, and complete my knowledge of my father's life. Maria I hope that there are vet�s who want�s to respond on my request. Thank you for your reply. Yes by all means use my Dad's information on your site. As you say it may encourage others who think their search is impossible. I started as you know with very little information. If I can be of any help to others please let me know. I have been in contact with many people over the last year, but it all started to come together when I made contact with you. So here is the email she had sent to tell me of her success. I have news of my father his name Johan Snijders is actually Josef Snijders this I discovered with contacts from several people. I received an e.mail from several sources in Holland, one lady searched the Dutch records and managed to get me my Father's birth certificate, it gave a good starting point. Unfortunately while I was having my computer reset I lost her e.mail address so am unable to pass it on. I also received an e.mail from a lady called Zwanet Plomp, she works for Liberation Children in Holland, she put the information up on her web site, and later was pleased to e.mail with the information that I have a cousin in Holland named Harry Kiel, he is the son of my Father's sister. Harry and I have written and exchanged photos, he has not been able to find a photo of my father but gave me a good description of him and his life. Sadly my Father died several years ago, Harry thinks it occurred in England. The family history is interesting, my Father was born in Berlin & when very young went to live in Java with his parents and sister, however he returned at the start of WW2 to Holland. It seems he was first married to a Dutch girl but this marriage broke up. 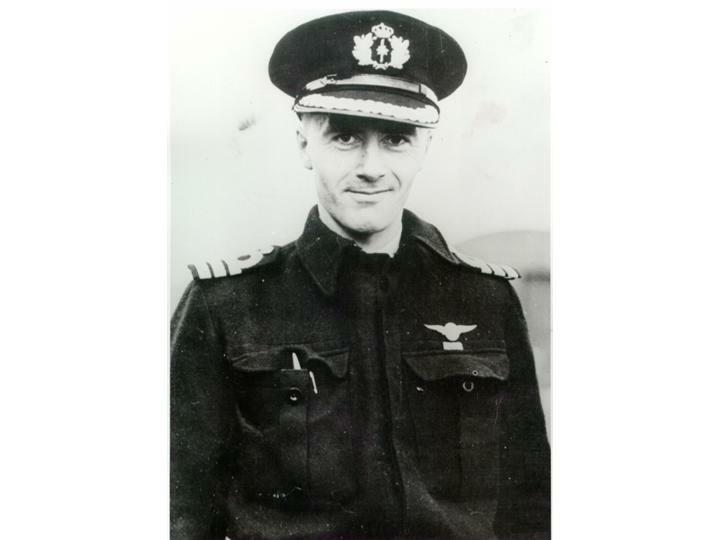 He was in the armed forces at this time Dutch Royal Navy he was posted to Scotland where he was attched to the RAF. He married again, but it was shortly after this that he met my Mother while she was also stationed at Leuchars - Scotland. My cousin Harry tells me that there was not good contact between my Father and his family in Holland, but that they did know about me, but it was not possible to have any contact, and over the years I became forgotten. Harry says after the war my Dad was in the merchant navy and was in the news in the 1950s when he repaired a big passenger liner at sea. He doesn't know anymore as they lost touch years before my Father died. Also of note, Harry's mother (who was my aunt) has since died. 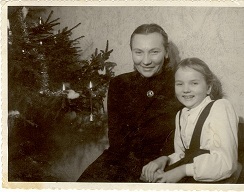 Our Grandmother Selma Snijders nee Frank was an aunt of Anne Frank who is famous for her wartime diaries. I hope to keep in touch with my cousin Harry who has sent photos of himself, his wife, daughter, grandaughter, his mother and halfbrother and also our Grandmother. There is another piece of the puzzle which I am trying to put together. I received an e.mail from Huib Snijders in Holland. From the information he received from Liberation Children, he thinks he could possible be related to me. He thinks that my Father was married to his grand mother in Holland before the war. All the info he has fits even down to dates and places. He says his father lived in Scotland for a while with his father and stepmother but that they did not get on as a family and that Huib's father left to return to live with his mother in Holland. Huib suggested that I e.mail him a picture of my son who looks like my Dad, but when I tried to e.mail him back it was returned. I have tried several times as I have his original e.mail filed and in my contacts file but without success, so that is something I am working on. Thank you so much for all your help in putting up info on your site. It was from this that my search really took off, and although my Father has died I have found a new family I did not know existed. You have a truly great site and I know that you are helping many other people in their searches. I have been searching for my Father or any of his family for 30 years. I realise that by now he is most likely deceased, but I must have family in Holland and I would love to get in touch.Can you help please. My dad's name is Johan Snijders, birthdate 16.1.1908/9 (January 1, 1908 or 1909, he served with 320(Dutch)sqn RAFin Leuchars, Scotland in 1941-1942, and as a Dutch national he was conscripted into the Dutch Navy in England. His number 90157/z. My Mother's name at the time was Cynthia Delderfield, Born 11.7.22 (November 11, 1922)to Joseph & Gertrude Delderfield, their and address during the war years was 24, Phoenix Way, Southwick, Sussex, England. I managed to find a site which gave me the name of H. Van der Kop (site manager) whom I e-mailed, he traced Dad to the squadron at Leuchars, and informed me that Dad was there from 20th August 1941 - 3rd September 1942, after that he could find no record. It was related to me by Mum that his family died in Holland, she believes they were shot, he managed to get out of the country and join up in England. I do not know if there were brothers or sisters,and my Mum can't remember. My Dad had attended university and was skilled in languages (he spoke 7), and was also a quite talented musician. 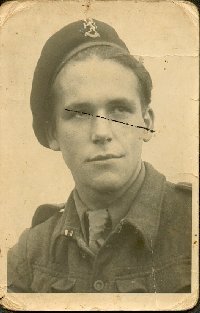 I realise that the information is very sketchy, and that if by any chance Dad is still alive he probably has another family, so it is touchy ground, but I would be happy to know if he survived the war, and would love to get in touch with any family in Holland, if they want to . I have tried for so many years to discover some info. as I feel that half my life is a void, not knowing is the worst feeling. Although I have never seen a photo of Dad, Mum tells me that my 27 year old son who lives in Las Vegas is the splitting image of his Grandfather. Anyway thank you again and for your offer of help it is really appreciated. Note from me: When I receive it I will posted a photo of Gloria's mom taken around 1941 and in uniform, who was serving at the WAAF in the same location. Engaged as volunteer with Netherlands army 1924. Engineering regiment, 1st Battalion, 1st company. Rank Corporal then Sergeant. Discharged from military service by judicial decree with Netherlands Troops & incorporated with Netherlands troops in England 1940 - Re-assigned to Royal Netherlands Brigade. Transferred to Netherlands Navy - 1941 as corporal engineer. Stationed on board Hr.Ms Isaac Sweers. 8/3/41. Re-assigned to London. Re-assigned to flying camp Leuchars. (this was where he met my Mum). Honourable discharge on medical grounds. He re-enlisted in the British Army in 1944. This is where the record stops as there is no further information. Sergeant-vliegtuigmaker der Marine Luchtvaartdienst (11061),bij het RAF no 320 (RDNAS) Squadron. "Als onderofficier-vliegtuigmaker bij het 320 Squadron RDNAS in het Vereenigd Koninkrijk gedurende ruim drie achtereenvolgende jaren door zijn uitstekende plichtsbetrachting, groten ijver en vakkennis een uistekend voorbeeld gegeven aan het gehele personeel en in ruime mate bijgedragen tot de hoge operationeele gereedheid van het Squadron".